It may be snowy and blustery today, but back in September when we made our way out to Moose Jaw for Threshing Bee, it was a glorious hot day. While normal people would take the TransCanada Highway from Calgary to Moose Jaw, we opted for a slightly more creative route through Fox Valley, Saskatchewan. The word in some of the grain elevator groups was that the grain elevators in Fox Valley, Mortlach, and Indian Head were scheduled for demolition over the next few months. The first two on that list would be fairly easy to visit on this weekend run, but Indian Head would not be. We had last visited Fox Valley back in July of 2015. We were pleased to see both the Paterson (the one slated for demolition) and “Fox Valley B” were both still in place. Mortlach, on the other hand, hasn’t been quite so lucky. 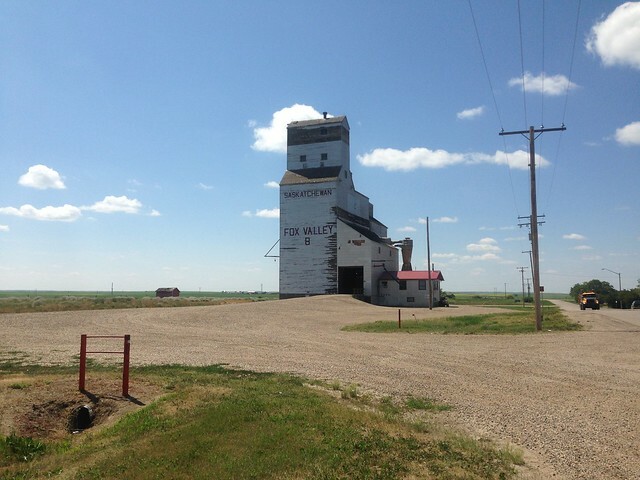 One of my favorite prairie towns, my first visits to Mortlach came in an era when it had two elevators. 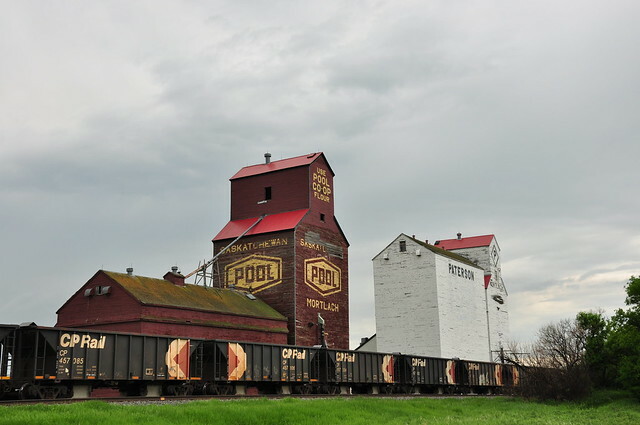 Unfortunately, the picturesque Saskatchewan Wheat Pool elevator was demolished in 2011, leaving just one prairie giant left in this little town. After grabbing some drone footage of the remaining elevators in Fox Valley and Mortlach, we bid adieu to them knowing we would likely not see them again — except in old photos. This entry was posted in drone, History, Travel and tagged Canada, DJI, DJI Mavic Pro, drone, Fox Valley, grain elevator, Mortlach, Saskatchewan. Bookmark the permalink.